India’s leading outdoor media agency Global Advertisers has joined hands with Daxana Films to handle the outdoor media hoarding publicity campaign for the upcoming Amitabh and Jaya Bachchan starrer The Great Leader. 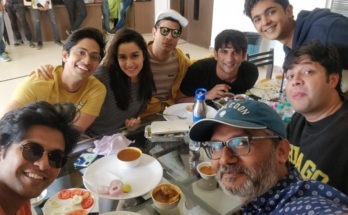 Produced by Deepak Sawant, who has been the trusted make-up person of Amitabh Bachchan for many years, the film is written and directed by Abhishek Chadha and co-stars Gulshan Grover and Pakkhi Hegde in lead roles. 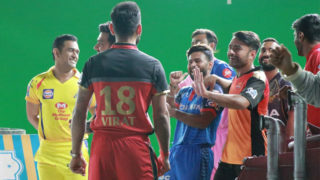 (L to R) Abhishek Chadha (director of ‘The Great Leader’), megastar Amitabh Bachchan, Sanjeev Gupta of Global Advertisers and producer Deepak Sawant. 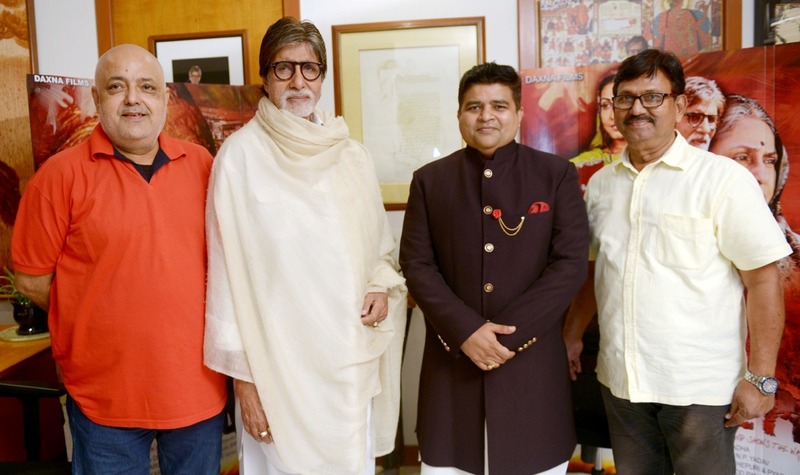 Global Advertisers CEO Sanjeev Gupta recently met up with Big B along with makers Deepak Sawant and Abhishek Chadha, where the megastar gave his love and blessings to the campaign and appreciated the support from the agency for the movie. The Great Leader is being described as a female-oriented subject with women’s rights and empowerment taking centre-stage in a rural setting. Moreover, it strikes a stronger note as Bachchan’s recent film Pink was also about women’s fight for justice, though in an urban setting. The film as well as the megastar’s performance in it, drew great appreciation and acclaim. 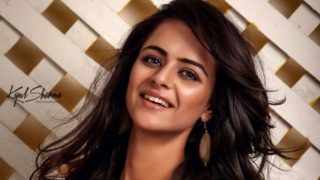 What’s Prachi Tehlan’s Idea of Perfect Diwali?